Perhaps no single capability is as important to buyers as how they locate product information on your eCommerce site. If they can’t locate the information they need, they will look elsewhere. Unilog provides robust site search capabilities designed with the B2B buyer in mind. 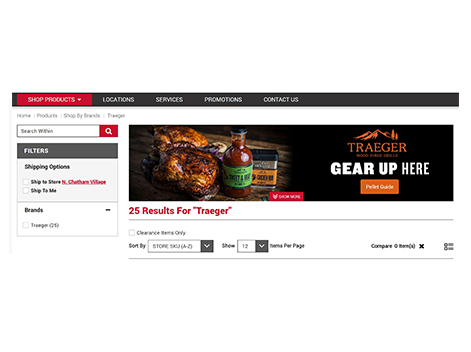 Enriched product content and Unilog’s eCommerce platform provide your customers with an exceptional search experience – and a quicker, easier path to purchase. A blazing-fast, open source enterprise search platform built on Apache Lucene™. Solr powers the search and navigation features of many of the world’s largest internet sites. Nearly half of visitors to your eCommerce site go immediately to a search box. This is good, since site searchers are much more likely to convert to buyers than those who don’t use search. If visitors don’t know exactly what they are looking for, your eCommerce site will automatically display predictive type for the most relevant search terms based on the first few characters entered the search field. 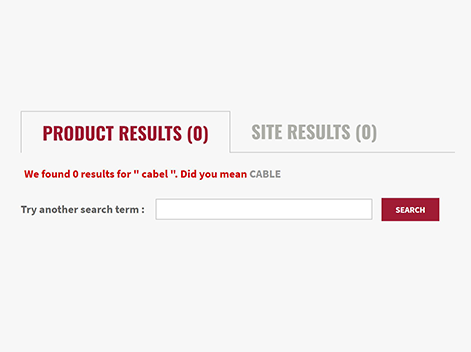 Set up synonyms for specific items or categories to help visitors find the right product when they search. If a visitor performs a search on a term that is misspelled or not indexed, the site will ask, “Did you mean?” and provide likely alternatives for the search term. 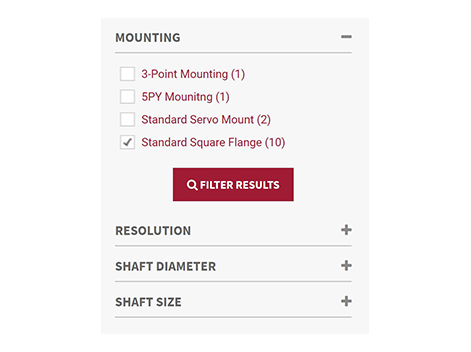 Allow visitors to narrow the list of product results on a page using multi-select filters for attributes such as brand, style, size, manufacturer, and more. Display image results directly within the predictive search box to help customers locate the products they need, before they’ve even finished typing the product name. Display a banner image and featured item(s) when a visitor of your site searches on a specific word or phrase that you determine. You can schedule a start and end date for each promotion. 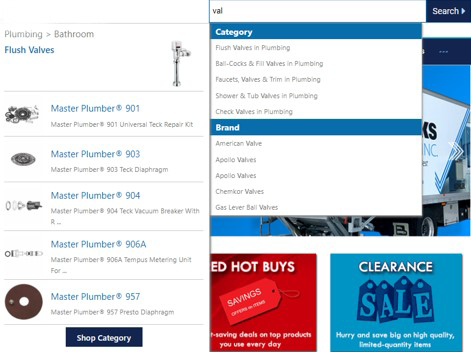 Choose how you wish products to display in search results pages. For example, you can choose a grid or list view, and how many items display at a time (12, 24, or 48). Visitors can also sort search results by part numbers, brands, and more. 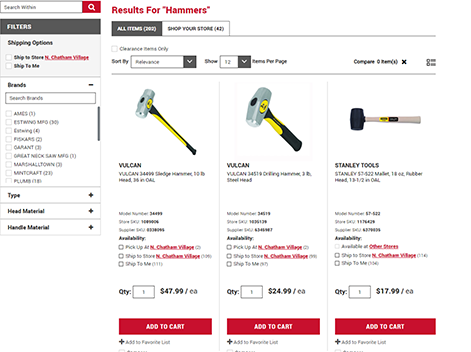 Fast, intelligent site search has a direct impact on your eCommerce sales. 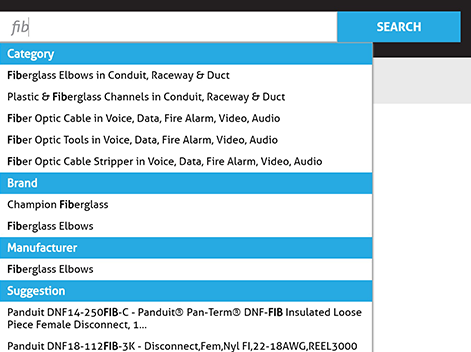 To see Unilog’s site search in action, request a demo.